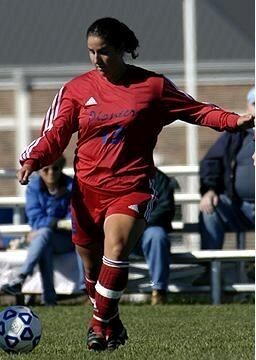 2007 was promising to be one of the best years in my soccer career. I had passed all of the fitness requirements in preseason at MidAmerica Nazarene University (Olathe, KS), which was something I often struggled to do, and I was playing at the absolute top of my game. I wasn't the fastest player on the pitch, nor the tallest, or even the strongest, but there was one thing I did better than anyone I ever played with or against: heading. I was a dominant force in the air. Whether it was a goal kick, a free kick, a throw-in, or punt, I tried to win any and every 50/50 ball in the air, and, more often than not, I came out victorious. Unfortunately, I didn't come out victorious on all of the challenges I took upon myself in order to win. By the time I was a college athlete, I had become accustomed to playing through what I now realize were obvious symptoms of a concussion. The dizziness, blurred vision, severe headaches and extreme confusion all became a part of the norm for me. I had never been educated about concussions and lacked the knowledge to know that I needed to speak up. In October 2007, the routine of playing through the symptoms of a concussion came to an abrupt halt, when I was hit in the face by an opponent's elbow as I jumped up to win a throw-in. I was knocked unconscious, my body and head bouncing off the turf below me. When I regained consciousness, a strange giddiness took over, and I was extremely disoriented from my surroundings. According to my teammates and my mom, I somehow managed to stumble off the field to the bench without any assistance. It's been nearly seven years since that hit and, to this day, I don't remember everything that happened after I left the field (a type of post-traumatic amnesia called anterograde amnesia). The consequences of what still stands as my only diagnosed concussion continue to stay with me, even after all these years. Knowing what I know now about concussions, I estimate that I probably suffered as many as 10 to 15 during my soccer career. In 2009, as the effects of multiple concussions continued to wreak havoc on my daily life, I moved back to my home state of Oklahoma. My family and I became concerned, as my headaches were so debilitating that I would sleep for hours on end, my mood swings were becoming violent, and my ability to focus on the simplest tasks was starting to become a task in and of itself. I went to neurologist after neurologist, but none provided much help in identifying the cause of my continuing symptoms. For a time I was diagnosed with absence seizures (e.g. staring off into space; what used to be called petit mal seizures). It wasn't until 2012 that I was finally referred to a neuropsychologist, and only then did I become fully aware of just how many concussions I actually may have had while playing soccer, and, as a result of very lengthy neuropsychological evaluation, learned that what I was experiencing, and am still experiencing, were the lingering effects of my multiple concussions. It was as I began to understand what was going on inside my head and how the game I loved had caused so much damage that I found some hope. In an attempt to come to terms with the reality I was facing, I began writting a blog called Life After the Game, and hearing from numerous people who told me that I was helping others by sharing my story and my struggle. It was neat to hear from people who had a brain injury, but there was still something lacking and I wasn't feeling validated. Then I got an e-mail from Samantha Sanderson, a former University of Miami (FL) soccer player who had an eerily similar story to mine. As someone who has suffered the same effects of concussions and, more importantly, the difficulty in also being an athlete, Samantha immediately validated my experience. What started with an email has since flourished into a friendship and partnership that I feel so incredibly blessed to have. In August of 2013, Samantha and I co-founded Concussion Connection. Together, we are dedicated not only to improving education and awareness about sports-related concussions, but to helping athletes deal with the psychological effects that can often stem from suffering one or more concussions.